Do you want to look at other Tinton Falls condos? Call 732-598-7700 to see the Condos For Sale in Tinton Falls. 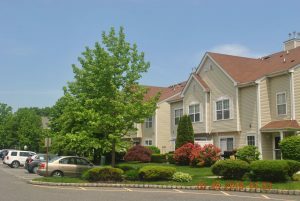 Park Place III Tinton Falls is a small community of townhouses. The are just 24 three level homes in this community. The homes have almost 2,000 square feet of living space and were built around 2004. These condos have either two or three bedrooms. However, there are no garages in Park Place III Tinton Falls. In fact, this is a pet friendly community. Park Place III Tinton Falls is approved for FHA Financing. The approval expires on 3/30/2020. Commuters to New York can take the New Jersey Transit train from the Red Bank station. Also a viable option is the Park and Ride at Garden State Parkway Exit 109. Education will be provided by the Tinton Falls School District. This will be for children attending kindergarten through eighth grades. High School students will attend Monmouth Regional High School, which also educates students from Eatontown and Shrewsbury Township. Additionally, dependent children of military families stationed at Naval Weapons Station Earle attend this school. Additionally, students from Park Place III who are about to enter high school have the option to attend the Monmouth County Vocational High School District. Part time courses are offered in many health fields, culinary arts, the construction trades and automotive fields as well. The district also has seven full time magnet schools. These schools provide career education in communications, health care, high technology and more. Numerous private schools are nearby. 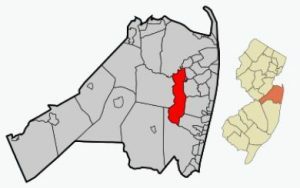 Additionally, Brookdale Community College and Monmouth University are within a few minutes drive.